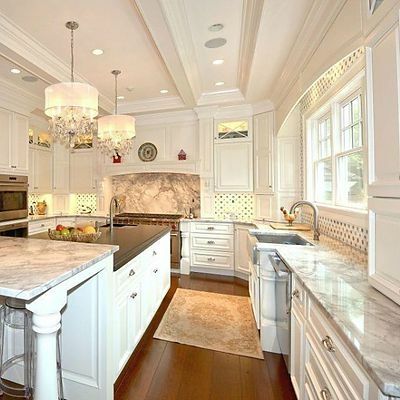 Functional luxury flows throughout this home, and the kitchen is no exception. 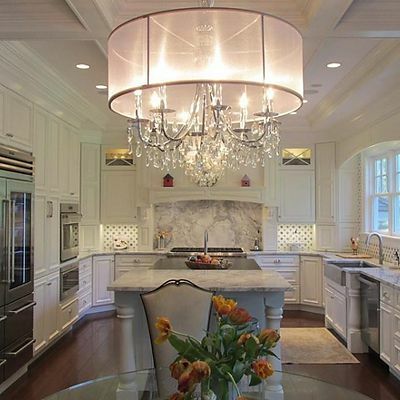 Cabinetry with timeless style, furniture quality details, coffered ceiling, multi-level lighting and elegant lighting fixtures blend seamlessly into the adjacent dining area and great room beyond. This makes a beautiful entertaining space. 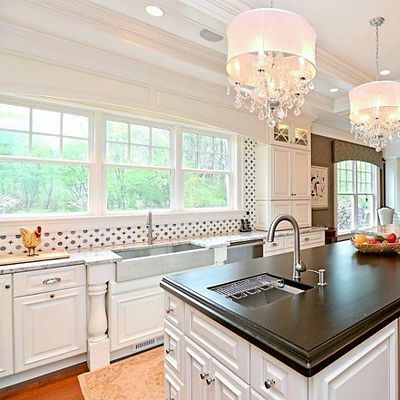 The working island with wood countertop provides plenty of food preparation space for daily meals and parties. It includes a prep sink across from the stove. A wine refrigerator and refrigerated drawer are across from the wall ovens, plus plenty of storage all around. The slightly elevated Quartzite countertop area provides casual seating for light meals, or for guests to sit and visit during meal preparations. The large arched window, arched french doors, coffered ceiling, and chandeliers bring elegance to the master bath. Floor tile details define the spaces for two separate vanities that provide plenty of storage in this spacious room.